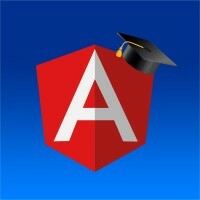 The Angular University aims to be the one place that you go in order to learn and keep up with the whole Angular ecosystem. We provide premium quality video tutorials, screencast style. No matter if you are a beginner, intermediate or advanced in Angular, we have several courses for you. Hello, my name is Vasco and I'm a Software Developer with 17 years of experience, very seasoned building user interfaces with Angular. I've worked as a Frontend Developer/Architect in a large variety of enterprise projects throughout the years. I worked on a ton of projects, everything from single page applications to help build the European Criminal Record Information Exchange System, to brand new e-banking portals, to corporate banking portals, and more. I've been a key part of internal framework teams that built frameworks for in-house departments of tens of developers. And that's just a few of them, please check my Linkedin for extensive recommendations.